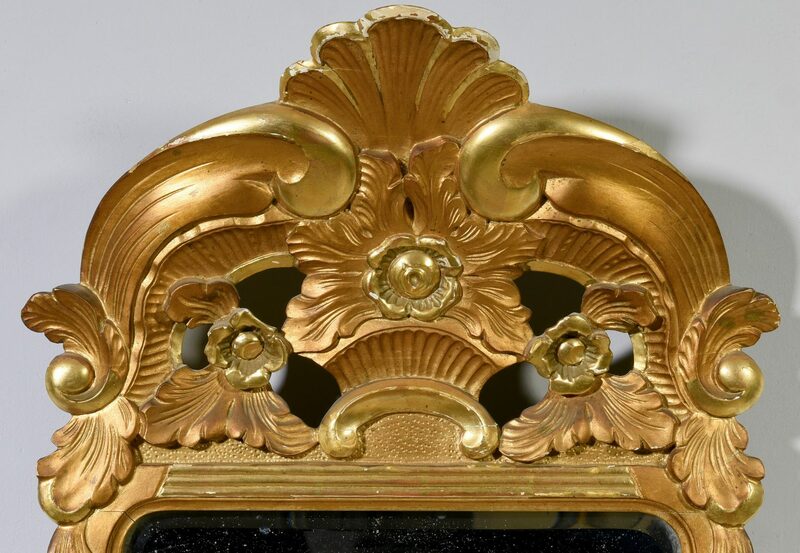 European Rococo gilt carved mirror, pierced floral and shell crest with foliate and swag decoration to the bottom. Fitted with beveled glass. Glass measures 30 3/4″ H x 15 1/8″ W. Overall – 50 3/4″ H x 21″ W. Late 19th – early 20th century. 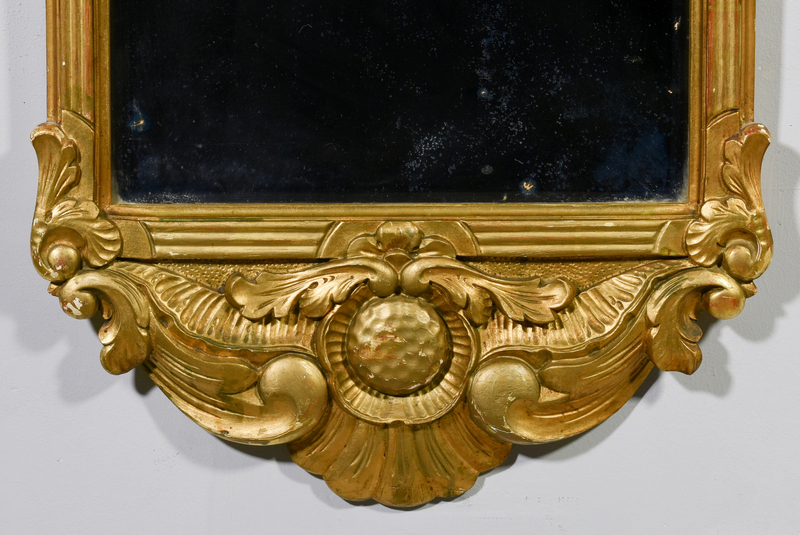 CONDITION: Some regilding, minor general wear to frame, especially at crest. Some oxidation to mirror.